Home › All About God › How does Jesus Appear to Us? Can We See God Face to Face? I have just read your blog “Father, Son, and Holy Spirit.” Am I still confused? Yes. In the gospels, between the resurrection and the ascension, the Lord appeared many times to his disciples and others. Sometimes he was recognized. Other times he was not. In what form was he during these appearances? Even though the Lord is “human,” what difference does it make since no one is ever allowed to see him as a human, rather only manifesting thru some angel, or manifesting as the heavenly sun? Is Jesus only seen as the sun in heaven OR when he fills an angel with his beingness? Nevada Sample also asked about Emanuel Swedenborg’s experience of seeing the Lord. These are highly philosophical and theological questions—questions that push the envelope of what we can know about the nature of God and about how finite human beings can have a relationship with the infinite God. But they also have a personal side that goes to the heart of Christianity and to the meaning and presence of Jesus Christ. My responses to these questions draw on the Bible, on the teachings of Swedenborg, and on my own thoughts based on what I have read and contemplated. God is eternally present as the sun of heaven to those whose eyes are open to see it. Before God came as Jesus Christ, God appeared to humans by filling an angel with the divine presence. After God came as Jesus Christ, God can and does appear personally both to people and to angels. Now let’s “look under the hood” and see how all of this works. The infinite and all-powerful God appears to humans and angels in many different ways. In fact, God will always appear in the way that works best for those to whom God is appearing. That’s why people of different cultures and religions each see God in their own way. Far from it being a problem that different cultures and different people see God in widely different ways, this is an example of God’s infinite love and wisdom reaching out to all people in ways that will touch them most deeply, and most powerfully lead them toward God. 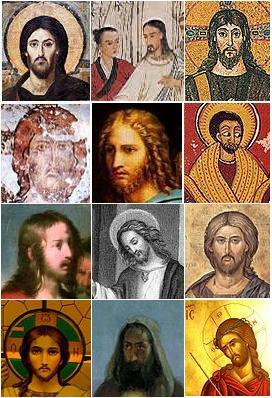 For example, Jesus Christ has commonly been portrayed as Caucasian because many Christians are Caucasian. But Jesus has also been portrayed as Asian by Asians, as African by Africans, and so on. None of these is “wrong.” We don’t know for sure what Jesus looked like. Perhaps that is intentional on God’s part, so that all Christians can picture Christ in a way that speaks to them and moves their hearts. It’s good to keep in mind that whatever way we may happen to picture or perceive God in our mind, it is not the only way God can appear. The infinite core of God is beyond all images we can conceive of. From that infinite core that encompasses all forms, God appears in many different forms to many different people. However, behind the millions of ways God appears to millions of different people, there are some general principles of just how God can and does appear to humans and to angels. Let’s look at some of these, as brought up in Nevada Sample’s spiritual conundrum. God does not always appear in human form. One of the archetypal, cross-cultural images of God is of a being of brilliant light and radiant warmth. The light is a visual image of God’s infinite wisdom, and the warmth is a sensory impression of God’s infinite love. In nature, the closest thing we have to that brilliant, resplendent divine presence is the sun. Residing at the center of our solar system, the sun provides the light of day by which we see our way around, and the warmth that makes all things on earth grow and flourish. For us, the sun provides a visual image of the infinite love and wisdom of God. That’s why the sun has been associated with God in many religions and cultures around the world. The Bible associates the sun with God. For example, in Malachi 4:2 we read, “But for you who revere my name the sun of righteousness shall rise, with healing in its wings.” This is commonly read as a reference to God’s presence, or to the coming of Christ. And when Jesus was transfigured in front of his three closest disciples, “his face shone like the sun, and his clothes became dazzling white” (Matthew 17:2). The haloes that are often drawn around Christ and around angels and saints are a stylized representation of the light that shines from the face of God, and from the faces of people and angels when they are filled with God’s presence. Emanuel Swedenborg and others who have experienced the spiritual world tell us that God is present in heaven as a radiant being of light. 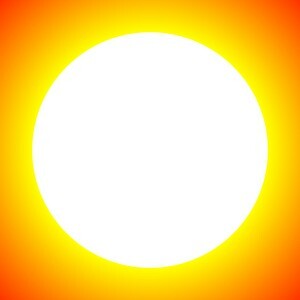 In common language, God is the sun of the spiritual world. Or to be precise, God is within the spiritual sun, and appears to angels and spirits as the sun of their (spiritual) world. You see, as I said earlier, the core being of God is far beyond the ability of finite humans and angels to see or grasp. Even the spiritual sun is an emanation and accommodation of God to our limited ability to see and comprehend God. Here’s the secret: We humans are incapable of seeing or experiencing the true, infinite reality of God. We could no more survive such an encounter than we could survive a direct encounter with the sun. We would be instantly vaporized. However, God veils and accommodates that infinite divine being to our finite, limited minds so that we can see and experience something of God’s presence. Consider how astronomers look at the sun through a telescope. If they just looked through the telescope directly at the sun, it would quickly burn the retinas of their eyes and blind them. So they put a dark filter on the telescope to dim the light enough so that they can comfortably observe the sun without damaging their eyes. In this sense, it is possible to “see God’s face” and live. But what we are seeing is not God’s face as it is in itself, but rather God’s face veiled, filtered, and adapted to our limited mental and spiritual eyesight. When we read in Isaiah 45:15, “You are a God who hides yourself,” we could also read it as, “You are a God who veils yourself” in order to be present with us without destroying us through the overwhelming intensity of the experience. Although we may indeed be blessed with the experience of “seeing God face to face,” we should keep in mind that the “face of God” we’re seeing is not God’s face as it actually is. If we saw that, we would die. What we are seeing is God’s face heavily veiled and filtered down to our level. Also, the “face of God” that we see is not the same as the “face of God” that someone else will see. God appears to each one of us in a unique way based on our own beliefs, character, and experience. One of the ways God veils and dims the divine presence enough so that we humans can encounter God is to fill an angel—or a whole community of angels—with the divine presence. When this happens, the angels are temporarily taken over by God, so that they believe and feel at that time that they actually are God. And God is the one who is speaking through them. This is how the people in Bible times were able to see and encounter God. It was not God directly appearing to them, but God appearing through angels. Once we understand this, it explains some of the strange “anomalies” in the various experiences of God described in the Bible. For example, in Genesis 18, Abraham has an extended encounter with God in which he is told that his elderly wife Sarah will have a son, her firstborn, and also that Sodom, the city where his nephew Lot was living, will be destroyed. In Genesis 19, the scene shifts, and now it is Lot who has an encounter with God. “Jehovah appeared to him” (Genesis 18:1). The visitors are described as “three men” (Genesis 18:2). 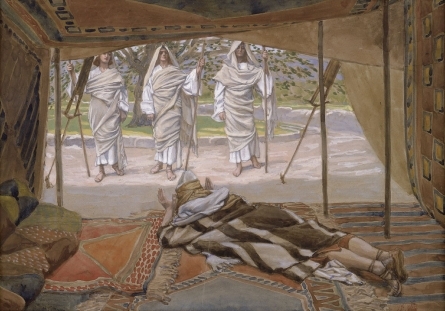 Abraham has a conversation with the three men, but addresses them as “my Lord” (Genesis 18:3–5). “They” speak to him (Genesis 18:9). “Jehovah” speaks to him (Genesis 18:14–33). Two of the three visitors are called “angels” when they visit Lot (Genesis 19:1, 15). Those two are also described as “men” (Genesis 19:5–12). The confusion will largely, if not entirely, disappear once we realize that these visitors were both angels and God, and that angels are simply people who have died and gone to heaven. God did not appear directly to Abraham, Sarah, and Lot. Rather, God appeared to them by filling several angels with the divine being, and speaking through those angels. Yet while God was speaking through them, the angels believed that they were, in fact, God. That’s why they are identified both as Jehovah God and as men or angels. In other places in the Bible where God appears to human beings on earth, the very same thing is taking place. God is not actually appearing to them “face to face.” Rather, God is appearing through an angel who is temporarily filled with God and speaking for God. This same thing can take place in the spiritual world as well. God can fill an angel or a whole community of angels with the divine being in order to speak to other angels and spirits who are in need of God’s presence. Ever since God came to earth as Jesus Christ, though, there is yet another way that God appears to us—one that does not require angels as intermediaries. For our purposes right now, it helps to know that when Jesus was first born, he was both infinite God and finite human. That’s because as the Gospels describe it, his father was God, and his mother was Mary—who was an ordinary human being like everyone else. So at that time, he was the Son of God in a very literal sense. However, during the course of his life on earth, he gradually set aside everything from his human mother, and replaced it with the Divine Being of God, his Father. So unlike us ordinary mortals, who separate from our human fathers and become a different person, Jesus became fully united with his divine Father, so that they were one and the same being. This means that when people and angels encounter the Lord Jesus Christ, they are not encountering some angel or group of angels filled with God’s presence. Rather, they are experiencing God’s own divinely human presence. Many people have had encounters with Jesus Christ. These encounters can be powerful and life-changing. Emanuel Swedenborg, in his Journal of Dreams, describes an encounter with Christ that he experienced in April of 1744, in which he saw Jesus face to face. This encounter was followed by others, which led to Swedenborg leaving behind his former scientific and philosophical studies and devoting the rest of his life to studying and writing on spiritual subjects. In what form was Jesus after his resurrection from death, before he ascended up to heaven? In what form did he appear to Swedenborg? In what form does he appear to the many other people in the last two thousand years and right up to the present who have experienced the vivid and very real presence of Jesus Christ? This is where things get highly philosophical and theological, and push the envelope of our human understanding. It is not a physical or material presence. After his resurrection Jesus appeared to his disciples when all the doors were locked (see John 20:19–20). A physical body could not have gotten in. It is not as a spirit or angel. Jesus specifically denied that he was a spirit (see Luke 24:37–39). If after the resurrection Jesus was not made of physical matter nor of spiritual substance, then the only thing left is that he was fully divine, including the very substance of his body. He rose from death with his entire body. Nothing was left in the tomb except the cloths in which his body had been wrapped (see Luke 24:1–3; John 20:1–10). He was able to eat food offered to him by his disciples (Luke 24:41–43). People could touch his body, and feel his breath on them (John 20:21–29). They did not always know who he was, and he could appear and disappear suddenly (see Mark 16:12–14; Luke 24:13–36). My best understanding of all of this is that although the risen and glorified Lord God Jesus Christ is not material or spiritual, but fully divine, the divine substance of which he is made is able to be present at will on all levels of reality: divine, spiritual, and material. However, since the time Jesus ascended up to heaven after his resurrection, we humans would ordinarily see Jesus only with our spiritual eyes, not with our physical eyes. This can happen even while we are still living in our physical body, at times when our spiritual senses are temporarily opened up so that we can see and hear with the eyes and ears of our spirits. As fascinating as it is to contemplate these philosophical and theological conundrums and try to figure them out, the mechanics of how God does things is not the most important thing for us to know. What’s important to know is that ever since God came to earth as Jesus Christ, God is able to be present with us personally whenever God decides that we need that Divine Human presence. Yes, Jesus can be seen as the sun in heaven by angels who are open to the Lord’s presence. Yes, God can still fill angels with the divine being and appear to humans and angels in that way. Yet both angels and people on earth can now see the Lord God in person. When angels have this experience, it is often similar to what Peter, James, and John saw when the Lord Jesus was transfigured before them, and they saw him as a divinely human being with a brilliant and radiant presence (Matthew 17:1–13; Mark 9:2–13; Luke 9:28–36). At other times Jesus appears as more like an angel, but surrounded by a divine aura. People who have had visions of Christ recount similar variations in what they saw and experienced. As I said earlier, God appears to different people in different ways. The “main event” is that for the past two thousand years, God has had a new way of appearing to human beings and to angels. God can now be with us in person as the Divine Humanity that is the Lord God Jesus Christ. When we have a relationship with Jesus Christ and feel Jesus’ presence with us, it is not just the sun of heaven, nor is it an angel filled with God’s being that we are experiencing. It is God with us in person. I found your article very interesting. I encountered Jesus many times as light in 2009-2010. He spoke to me about my life with love for me and my family. At the end of this time he appeared as a person standing behind me to the right of my head. He was so loving! He spoke to me about my family and what was wrong. He went through his love for each person and told me of the problem effecting my family. He told me he was going to heal my family and of his great love for my family! I felt throbbing light throughout my entire body and it was so intense that I cried after the experience. I couldn’t believe that Jesus cared so much for me and my family that he would come talk to me! It is now 2014 and I am still waiting for the healing, but I know it will happen in HIS time. Unfortunately, when I told my daughter of this experience, she turned against me and told me it was Santanic! This really hurt me because I know for sure it was Jesus. I don’t understand why my family has turned against me. Is this normal? But, I know it was Jesus and I am waiting. I’m sorry to hear that your family has turned against you because of your encounters with Jesus. The thing is, no one else can tell you whether or not those experiences were real–unless they were actually with you experiencing the same thing themselves. You were the one who experienced them, and only you know what it was like. First, I am reminded of Jesus’ saying in the Gospels, “You will know them by their fruits” (Matthew 7:16). Did your encounters with Jesus help you or hurt you? Did your spirit and your life go in a better direction or a worse direction because of them? If it were satanic, it would push you toward becoming a worse, more selfish, more greedy person. If it was from God, it would move you toward being more thoughtful, loving, and compassionate. Second, although many people believe theoretically that spiritual experiences such as yours are possible, often they don’t actually believe it when someone tells them about having one. I would suggest that you be careful about who you tell your story to. It’s best to have a certain amount of trust with someone before telling them about parts of your life that are very close to your heart. Finally, please consider the possibility that since Jesus came to you, his plan may involve working through you to heal your family. If you are expecting some sort of intervention from the outside to fix the problems in your family, although that could happen, it is also very possible that you will be disappointed, and nothing like that will ever happen. However, if you take your encounters with Jesus as a call to action in doing the work within yourself and with your family to move the situation toward healing, then the Lord will be with you in achieving that healing. This may also involve finding people (counselors, ministers, and so on) who are experienced in these situations and can help you with them. I hope these thoughts are helpful to you. Our thoughts and prayers are with you. Thank you very much! Do you know some good counselors? Since you are facing both spiritual and family issues, the ideal counselor for your situation would be a pastoral counselor who is also a family counselor. Pastoral counselors are licensed counselors who approach counseling from a religious or spiritual perspective as well. Other counselors may or may not be able to help you with spiritual issues. Family counselors are trained and experienced in dealing with issues affecting whole families. If you find one or more counselors who you think might work for you, give them a call. It can be tricky finding one that really clicks for you, but if you do, they can be a great help. Not only will they have ideas and strategies to offer you in facing your struggles, but just having a sympathetic person to talk to can relieve a great deal of the tension, and help put you on a path toward healing. Thanks for stopping by and sharing your experience and your thoughts. Godspeed on your spiritual journey! Thanks for stopping by, and for your comment. Your family may think you’re crazy, but as long as it leads you to be a more loving, thoughtful, and kind person I do believe that Jesus is speaking to you even if the way it is happening may seem odd and crazy to many of the people around you. Yes, I believe that Jesus was a historical person who lived and walked on this earth, and was God with us. I have no particular reason to say that the miracles didn’t happen as described in the Gospels. Such things are possible, I believe, through the use of spiritual power. However, it is also not terribly important to me whether or not they actually did happen historically. The important thing is the spiritual message that they carry to us for our own salvation and spiritual rebirth. Every one of Jesus’ miracles as recorded in the Gospels has a deeper meaning that speaks of how we can be healed in spirit by the presence and power of the Lord. For example, giving sight to blind eyes means opening our mind’s eyes to spiritual truth about God and eternal life when before our whole focus was on this world and how to get ahead in it for our own benefit–which is spiritual blindness. Helen Keller quoted from John 9:25 in speaking of her own spiritual awakening: “One thing I know, that whereas I was blind, now I see.” Physically, she was still blind. But the blindness of her spiritual ignorance and darkness had been healed. Now she saw God and spirit clearly within her soul–and that gave great light and meaning to her life. Jesus is real and at times the Lord does place one in a position where the saying “a prophet is not welcome in his own town” comes to fruition. God is real, ever present and will always be real. There are challenges with explaining the spiritual to those who live in the physical and ti also follows that the first challenge for a new christian is to be re-wired or for the conditioning of one’s being to be transformed. Now in God’s space the new conditioning is the “original covenant” that pre-dates one’s birth, the one that is “one’s true purpose” in this life experience. God reveals himself to us in many different ways on a daily basis, the laughter of a baby, the smile of your child when they say “I love you daddy/mommy” and the the feeling a new parent has when they hold their newborn for the first time. These are times that His divine presence manifests itself in a flutter of time. Te purpose of God’s revelation to man is not for the purpose of activating emotions only but serve as a favored selection for those whom He entrusts with the evidence upon which to base their faith and the armour to to fight the Holy fight. To me God is also “time”, He exists and is the manifestation of time, remember He is, was, and always will be. This is a reason why God works in time and timing is His ultimate expertise. Thanks for stopping by, and for you good thoughts. I agree with much of what you are saying, and I also appreciate the sense of wonder that you express. I would only say that God wishes to entrust all of us with evidence, faith, and armor to fight the holy fight. It is up to us whether or not we are willing to accept it. The “favored ones” are the ones who accept God’s favors. “Listen! I am standing at the door, knocking; if you hear my voice and open the door, I will come in to you and eat with you, and you with me” (Revelation 3:20). God will not force anyone into that relationship. It must be our freely made choice. We must decide to open the door–and if we do, God will enter the “house” of our mind, heart, and life. About your final thought, I would express it as God being present in all time from a divine state of being that exists beyond time. God sees all time and space as a whole. From that all-seeing perspective God acts in every time and place for the good of every individual and for the good of all of humanity and the universe together. Hi Mr.Lee, I am 11 years old and I came across this site. Earlier while I was dancing in the dinning area up on the wall I saw Jesus! He was wearing a white gown and he had beautiful brown hair and he was Caucasian. I do believe and Jesus/God but was it possible that I saw him? I’m only 11 though. Thanks for your time and this passage it helped me understand who God/Jesus is better. Thanks for stopping by, and for your comment. I’m glad the article was helpful to you. Only you know what you saw. If it inspires you in your life, then I’m sure God was in it! Thank you for your wonderful counsel and encouragement. I saw Christ over 30 years ago and it did change my life. There was more to the appearance than I can write down but it caused me to seek. I prayed for understanding of what I experienced and I remember the Spirit filling me with understanding which I continue to enjoy every day of my life and service. Here is my comment. I have not told many people of my experience but those whom I have told it is about 50-50, believing me and those appalled. Recently, from the pulpit of my church I endured an entire message on “Nobody can see God!” Ugh! In a congregation of over 2000, plus a world wide media audience, I can’t help but think of how scores struggling people were adversely affected. I am strong and educated in my faith and only got angry…. but I envision many loving, seeking, and chosen people being wounded. People who had a wonderful and purposeful experience who now are doubting. My resolution came with praying for the Spirt to provide understanding. I received it and remember the day and where I was. Since then I do enjoy a relationship with God which allows me to see and commune with Him 24/7. (in the sun, the flowers, trees. children, and all of life, as you said) I even talk to Him, laugh and cry with Him and am comforted by Him when I am in need. Should I address this with my pastor? He knows I have a real issue with judgement from the pulpit. I consider this a judgment. Since I volunteer, with joy, I fear retribution. That in itself is a shame. Nobody can EVER tell me I didn’t meet the Lord and that He saved me that day. Thanks for sharing about your experience of Christ here. It is a very personal experience. Many who have encountered Christ do not feel comfortable sharing their story because of the skepticism that is such a common response–even from pastors and other committed Christians who should be open to the presence of Christ among us. It is sacred ground–ground that should not be trampled on with muddy boots of doubt and skepticism. As I said in the article, Emanuel Swedenborg had a very powerful and intensely personal experience of meeting Christ during the time he was being called from his political and scientific career to a new, spiritual field of activity. He never described his experience of Christ in his published writings. Instead, he wrote it down in his personal journal of dreams and spiritual experiences, which was published only after his death. Whether to take it up with your pastor is a real judgment call that only you can make. If you are spiritually fed by your participation in that church, and you think confronting your pastor about his message might make it difficult or impossible for you to continue in that church, then you might want to think twice about it. Sometimes it is best just to keep our own counsel when our views or experiences differ from that of the pastor and leadership of the church. However, if you find that the atmosphere created by his speaking out against people’s experiences of Christ causes you disharmony, and hurts your ability to engage in the fellowship and life of that church anyway, then there would not be so much to lose. I would only suggest that if you do decide to take it up with him, you approach it from a pastoral and spiritual perspective of how hearing such a message affects your walk with Christ, and may affect others’ walk with Christ as well. Perhaps that would reach him where a doctrinal disquisition or defense of personal encounters with Christ might meet with more resistance from him. After all, he likely thinks of himself as the teacher and leader and doctrinal expert in the congregation. You’ll have to balance these and other considerations, and make your own thoughtful and prayerful choice. Finding a new congregation that is compatible with your spiritual life and beliefs can sometimes be difficult. Whatever decision you make and course you take, our prayers are with you. Yes, when I think of what the Lord has done for us, and all of God’s patience waiting for us and even suffering for us, it touches my heart. Why don’t we open the door? It is there waiting for us whenever we are ready. But, all the time i only think of seeing him face to face, as it is written, Pure in heart can see the god. I beleive, that , he speaks and appears. though i have not seen him, but i can feel his presence, because without his presence, i would have been not in a position, where i am now. It is only by his grace, Pls remind me in your daily prayer. Thanks for stopping by and sharing your thoughts. Godspeed on your spiritual journey! Thanks for stopping by, and for sharing your experience here. Since I wasn’t there, I can’t really comment on the experience itself, except to say that if you experienced it, then it was real for you. However, the idea that God cannot appear to us is contrary to large numbers of passages both in the Old Testament and in the New Testament in which God does indeed appear to people in various forms, giving them warning, instruction, encouragement, and so on. And as I say in the article, one of the main reasons God came to us as Jesus is so that God could appear to us in person, and have a direct, personal relationship with us. The fear that you experienced in the encounter is not unusual. Many, if not most encounters with angels and with God in the Bible bring about fear and trembling in those who experience it. When the angels announced Jesus’ birth to the shepherds near Bethlehem, the shepherds were terribly afraid! So that in itself in no way means that the encounter wasn’t genuine. The real test is whether the encounter leads you toward good or toward evil. Did that experience move you toward a more spiritual and a more kind and compassionate approach to life? Or did it leave you more skeptical and cynical about God and spirit? Encounters with angels and with God may be fearful, but they lead us toward good rather than toward evil. I would suggest, however, that you not seek out encounters with Jesus and with angels. It is up to God to decide whether we need or would be benefited by a spiritual visitation. When we seek such visitation out through lack of faith and a desire to be convinced, we’re just as likely to have a negative as a positive experience. For more on this, see my article, What about Spiritualism? Is it a Good Idea to Contact Spirits? My suggestion for you is that you accept the encounter you did have as a message from God, as fearful as it may have been, and that instead of seeking out further confirmation, you seek to focus your life on loving God with your whole being and loving your neighbor as yourself, as Jesus commanded us to do. If you do this, you will find confirmation everywhere that Jesus is indeed present with you, loving you and guiding you toward heaven. I have had experiences since a child some where I have felt,and seen Jesus and angelic appearances .and when sick I heard the angelic choir singing! I have also encountered some experiences since older that I knew were not of the holy spirit or my God or Lord this has been where discernment comes into play because Jesus says my sheep know my voice and know me. I have also seen my Lord in a dream where he came to me and I can’t forget the glory of that moment or that smile.and falling to my knees! I also have had stressful times where my son was critically injured and I awakened to see the light and image of my deceased grandmother standing over my son and peace fell as she said “”I am here and you rest he will be oK .” Peace filled me and I slept . I have also attended a baby’s funeral visitation where I was 1 of only 3 people there who saw the Great grandmother and her deceased sister walk in . They both had passed years before this child was born.Recently I was awakened in the early morning hours ,I had fallen asleep watching TV and when I opened the bedroom door I saw an angelic dressed man in a white robe and sandals with dark skin standing over my husband with a rope in his hands holding his hands in the air as if in worship to the Lord . While I was startled I was not afraid ,he seemed as startled as I that I had walked in on him ! We looked at each other for few seconds then he shuffled his feet as if to see my response ? I called on the blood of Jesus and said only the holy is welcome here and turned on the light and he vanished but I didn’t feel threatened but rather that I had interrupted something . Was this perhaps his guardian angel ? We are both born again christians but I don’t share lot of my gift with others. My grand mother a generational prayer warrior christian told me that she also had this gift of visions dreams and insight from the Lord and she strongly felt that I had been gifted with this too. Perhaps as a child I shared something with her that she recognized. My husband is skeptical to a degree but does believe an angel saved his life as a young boy. He can’t deny the insight I have from some dream or holy insight when I tell him something is going to happen and then it does happen. What do you think ? Yes my grandmother did come to my mother to warn her that God had revealed to her that something terrible was going to happen to my brother several weeks before he had an accident and died. Thanks for stopping by, and for sharing your experiences here. Most of us while living here on earth are not aware of the angels and spirits who are around us all the time in the spiritual world—except sometimes during times of extraordinary stress or emergency. Some people, however, for reasons known only to God, are able to sense the angels and spirits more often. This is more common in little children, but usually fades in adulthood. I believe that if we humans on earth were more focused on spiritual things, we would have more common contact with angels and spirits. But since so many people on earth are focused on the material world and its pleasures and concerns, communication with the spiritual world is not so common today as it once was. You are probably right not to speak too much of your experiences. Many people, including many Christians, will be skeptical of them, and may even think it is the work of the Devil. There’s no need to subject yourself to that. It sounds as though your communication with the spiritual world has mostly been of a helpful character in warning of danger and providing comfort at times of grief. And that, I believe is a gift. Of course, if you also sense negative and malevolent presences, that is something to be guarded against. But for most people, God will protect us from their influence if we keep our mind on the Lord, pray to be kept safe, and do not act upon anything those evil spirits suggest to us. It is true that some people become overwhelmed by these evil presences. But that doesn’t seem to be what’s happening for you. So my thought is that your awareness of angels and spirits is a gift from God, but a very personal one. Jesus said, “Do not throw your pearls to pigs” (Matthew 7:6). Not everyone is able to accept and appreciate that you sense angelic presences who provide warning and comfort to you and your loved ones. I disagree with your theology of angels. They are not “Simply people who have died.” They are unique heavenly beings that are neither God nor man.. they are largely messengers and protectors but are not men and never were men.. This is entirely inaccurate..and very misleading for the uninitiated who are looking or truth. Angels are an entirely different order of being than humans. Human beings do not become angels after they die. Angels will never become, and never were, human beings. God created the angels, just as He created humanity. The Bible nowhere states that angels are created in the image and likeness of God, as humans are (Genesis 1:26). Angels are spiritual beings that can, to a certain degree, take on physical form. Humans are primarily physical beings, but with a spiritual aspect. The greatest thing we can learn from the holy angels is their instant, unquestioning obedience to God’s commands. You are, of course, free to believe whatever you like about angels. However, the Bible nowhere says that angels “are unique heavenly beings that are neither God nor man.” The Bible, in fact, says nothing at all about angels being created as a separate race of beings. This idea does not come from the Bible, but from other, non-Biblical writings, and from human theologians. Instead, the Bible treats angels every bit as if they are human beings who have gone on to live in heaven. And that is exactly what angels are. I realize that many traditional Christian churches teach that angels are a separate creation of God. But there is absolutely no basis for this belief in the Bible. Thanks for stopping by, and for sharing your experience. These spiritual encounters are quite personal, so I wouldn’t presume to tell you what it means for you. Perhaps you are facing personal or spiritual struggles and needed assurance that God is able to carry you through them? Lee,more grace sir…may God keep you and empowers you,your words is touching and teaching the spiritual insights of d kingdom reality. Am from Nigerian,a student of medicine and surgery st.Vincent. I really want to know you more deeply. Thank you for stopping by, and for your kind words and well wishes! I’m glad my words have given you insight and inspiration. If you have any particular questions or thoughts, please don’t hesitate to comment further. Godspeed on your spiritual journey, and good luck in your important studies. I have never spoken to strangers about what happened to me , only a few people I know. I just told my children a few years ago . The reason I told them is because when my baby passed at birth , my son stop believing in God. Which upset me deeply, mostly because I know and have felt, heard , seen God . I know to most people that might crazy, and that’s not why I don’t speak about it. I feel it was something sacred, and it was only for me. But as I was reading a lot of these comments something spoke to me and felt I should say something. I had rheumatoid junvinale arthritis since I was two. I lived most of my childhood living at the hospital for special. Therapy In NYC. My case was really server and they told my mom I would probably not live past 11. God came to me twice , once when I was around 9. I remember the heat , the brightness, Most of all the feeling of peace. I passed out and when I came to there was people standing around me, and I remember trying to take off my clothes because I felt as if I was on fire. God didn’t say anything to me that time, I just knew it was him. The second time I was 13 , I was still very sick and had to take multiple medications just to live and not be in pain. My mother was always angry at me because I would forget to take my medication. She would say your going to die if you don’t take your medication. So one night I was sleeping and I heard something calling me, I opened my eyes and the room was very dark. Then my whole room filled up with such a bright light it hurt my eyes. I heard such a deafening sound of bird wings fluttering. I remember being scared at first. Then I heard him, God told me not to be scared, that I was special and he loved me. He told me that not to take my medication anymore that I was not sick anymore. That I would not feel anymore pain. Then he was gone, the light went away,and so did the sound of bird wings I can’t explain or put into words, the love, and peace I felt. It’s a feeling I will never forget and I feel like there’s a whole in my heart, a loneliness . In the morning I told my mother I would not take my medication anymore and why. She was so angry she hit me, I still didn’t take the medicine. She took me to my Dr. at the hospital for special surgery in NYC. They took my blood 4 times , each time it coming back negative, I had no trace of the disease in my blood. The Dr then drew the blood himself and walk it to the lab and stood there while they tested my blood. It still was negative. My mom said it was a miracle, the Dr. said it was a medical phenomenon. Till this day some specialists look at me and don’t believe I was ever sick. I have my medical records to prove I was. Now that I’m 45, I feel some stiffness when it rains but that’s it . I hope whoever reads this feels some comfort, that God is real. Thanks so much for stopping by and telling your story here. What a blessing from God! For those who have encountered God as you have, there is no more question about God’s existence—or about God’s love and concern for each one of us. I am glad you have been able to live a good life, have children, and pass the blessings you have received on to others. Life still has its pain and struggle. Yet knowing that there’s a reason for it all makes it possible for us to move through that pain and struggle with a sense of hope and assurance in our heart. I had a dream where I was outside. On my left were trees. I could see the sun up high. To my right, I could not see. God came with pure white hair and beard well tightly groomed and sat on his white horse above the trees above and to the front of me. He came with a white angel (unlike others) where the wings were defined feathers. But, I could tell this angel was with God and had a black face, though pure white robe and wings (almost robe like feathers). Huge and pure white. God stopped, paused with an approving nod at me to acknowledge me and took off flying with his white horse and without words commanded his no face (black) almost hooded white in appearance angel behind in front of me. Then, took off, as if with serious face and heading to battle. This was a dream that was very real and when I woke, was the, only, way that I knew it was just a dream. Do you have any idea what that would mean? Dream interpretation is a very personal business. It draws on imagery and associations from our individual mind and life. So without knowing anything about you, I don’t think I could say for sure what this dream means for you. That’s because the symbolism of the various elements of your dream will depend greatly on your own experience and what’s going on in your life right now. However, I will say that a rider on a white horse is a powerful universal symbol also. In the Bible, white horses appear in the book of Zechariah (Zechariah 1:7–17; 6:1–8), and a man riding a white horse appears twice in the book of Revelation (Revelation 6:1–2; 19:11–16). Especially in the book of Revelation, it is clear that the rider on the white horse is Christ, the Lord, who is also called the Word of God. A full interpretation of these passages would take far too long for this reply. However, in general, horses, and especially white horses, represent a love for truth and understanding. Those who ride them are those who love to follow the path of truth wherever it leads. And when it is God, or an angel representing God, riding the white horse, it represents the truth of God’s Word leading our mind and our life toward what is true and good. The battles that the rider on the white horse fights, and is victorious in, are the battles of truth against falsity, and by extension, of good against evil. If I may make a guess at a possible meaning for you, I would say that perhaps you are facing battles of truth vs. falsity, or right vs. wrong, in your own life. If so, then this dream is an inspiration to fight and be victorious in those battles so that the truth of God can conquer in your life, and rout any wrongs in your thinking and your daily life, so that you can move forward to higher things on your spiritual journey. But once again, dreams are usually very personal in their meaning and significance. So feel free to take any of this that fits what’s going on in your own life right now, and leave anything that doesn’t. Thanks for stopping by and telling your story. Yes, God is love.